The results of this study differ from two earlier reports (here and here) in women with breast cancer — and exercise appears to be the difference. 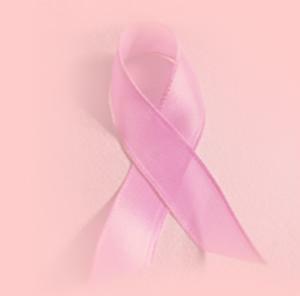 1,490 women diagnosed and treated for early-stage breast cancer were studied. Enrollment was for an average of 2 years after their diagnosis. All but 7 women completed the study. Eating at least 5 servings of vegetables-fruits, and being active (eg, walking 30 minutes 6 days a week) were associated with a significant survival advantage. Among those who adhered to this healthy lifestyle, obesity had no apparent effect on survival. The effect was stronger in women with hormone receptor-positive cancers. The positive results in this group of women, compared to the other studies, appear to be due to the addition of moderate exercise. Also, the benefits of a healthy lifestyle appeared to offset the negative effect of obesity on survival. Most breast cancer survivors don’t follow a healthy lifestyle that includes both recommended intakes of vegetables-fruits and physical activity, according to the authors. This entry was posted on Sunday, February 25th, 2007 at 2:20 AM	and is filed under Cancer, Diet-Nutrition, Exercise, Walking. You can follow any responses to this entry through the RSS 2.0 feed. You can leave a response, or trackback from your own site. « Is tai chi effective complementary treatment for cancer?